Eastside Distilling (ESDI) recently announced their acquisition of a majority stake in Big Bottom Distilling (BBD). 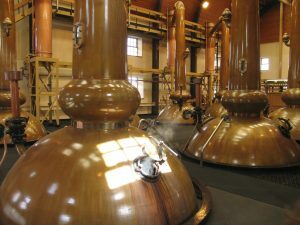 Big Bottom Distilling is a Hillsboro, OR based distiller of multiple award winning alcoholic beverages including: super premium gins, whiskeys, brandies, rum and vodka. Eastside intends to introduce joint distribution of BBD’s craft spirits along with their own signature products: Portland Potato Vodka, Burnside Bourbon, Cherry Bomb, Coffee Rum and Marionberry Whiskey. The two companies product lines appear to be highly complementary and should see an increase in market share once the acquisition is completed.